Everyday before we go to the dining hall, we have the habit of looking through the menu. Sometimes we frown at certain dish names. What’s “Cactus taco”? What’s “roasted artichoke”? Even after we click on the menu, only nutrition details for the dish are shown. At the end of the day we still don’t know what that is. So that’s why we want to come up with a Belp Dining website which allows us to see the pictures and students’ comments on each dish. So we will never miss out anything good in the dining halls. 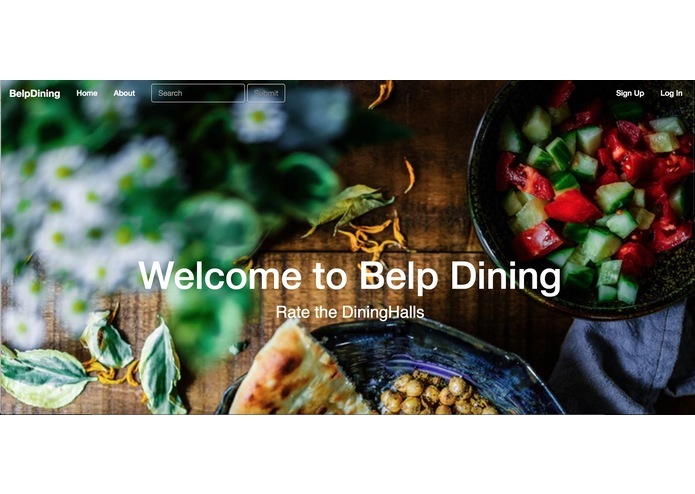 This website gives us access to daily menu in the 9 dining halls and we are able to click on the dish name to find out other’s comments and rating for the dish. We can also post our own comments and they will go to the backend and be added to the review page. We hope everyone will love UCLA dining halls more with our website!